Congratulations to School of Art faculty and alumni Doug Ashford (A'81), John Menick (A’98), and Walid Raad for taking part in this year’s dOCUMENTA—one of the world’s largest and most highly visible international exhibitions of contemporary art. 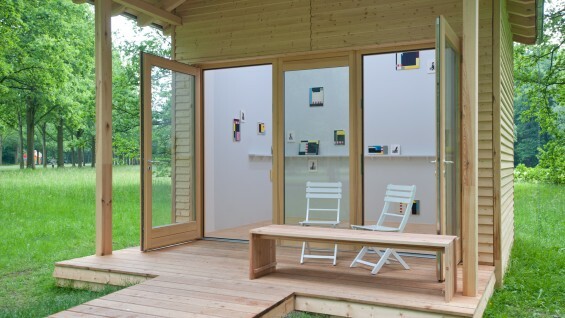 Associate professor Doug Ashford exhibited a series of small-scale abstract paintings in a prefabricated house in the Karlsaue, inspired by associative modernist historical constructs that rephrase institutional memory, such as Aby Warburg’s Mnemosyne Atlas (1924–29) or André Malraux’s Imaginary Museum (1950). Ashford collected multiple images over the years that depict figures in states of emergency and helplessness. Pasted onto and hung alongside tempera-painted wooden panels, these semi-abstractions suggest a discontinuous aesthetic path through past histories and into empathies that could occupy the present. In addition to Ashford’s paintings, the dOCUMENTA publications team presented a re-publication of AIDS Timeline as part of its 100 Notebooks program. Ashford collaboratively edited AIDS Timeline with Julie Ault as Group Material in 1989. In addition to this year’s exhibition, he also previously participated in dOCUMENTA 8 in 1987, curated by Manfred Schneckenburger, with the collective Group Material. Alumni and former visiting artist John Menick presented Starring Sigmund Freud, a half-hour video work examining popular depictions of the famed Austrian neurologist in popular film. Based on an essay Menick published in Frieze in 2011, the video collects the dozens of appearances that the character of Sigmund Freud has made on small and big screens. After the 1950s, when pill vials replaced analytic couches, the father of psychoanalysis found a second career impersonating himself in everything from a John Huston clunker to a Star Trek episode. Menick also presented A Report on the City, a book collecting six interrelated essays and short stories, all of which relate to the years the author spent living in Mexico City. The eponymous essay in the book is available here. 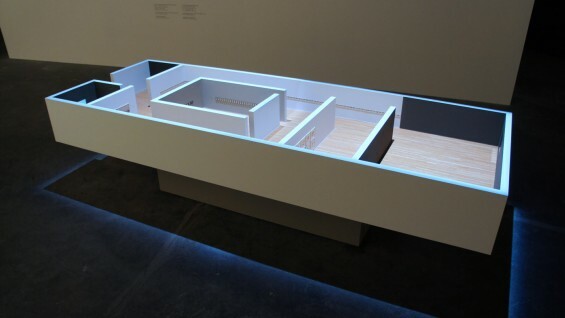 Associate professor Walid Raad presented Scratching on Things I Could Disavow, a series of one-hour walkthroughs for visitors guided by the artist through his installation of miniature artworks. The project revolves around the (art) history of the Arab world, its present and future, and oscillates between fact and fiction, documentation and interpretation. 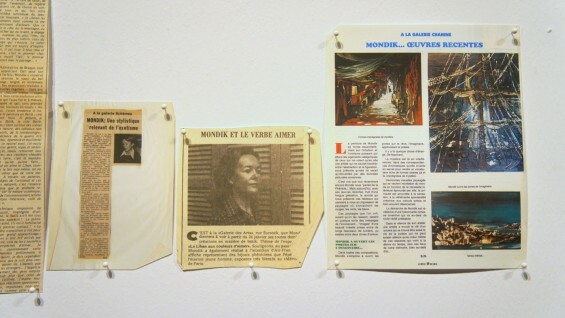 The tours were held in English, and documentation of the work on view was presented on Contemporary Art Daily. 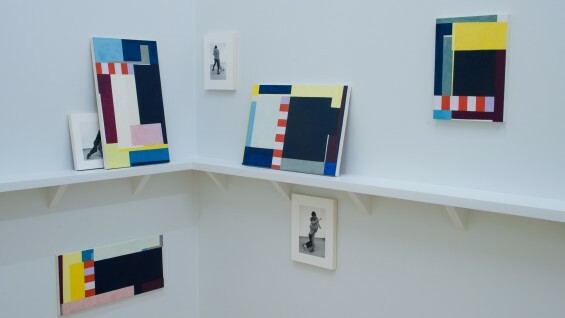 This is Raad’s second exhibition at dOCUMENTA, having previously taken part in dOCUMENTA 11, curated by Okwui Enwezor. dOCUMENTA, occurring once every five years in Kassel, Germany, was founded by the artist Arnold Bode in 1955. Bode’s ambition was to invigorate and reintroduce advanced art to Germany after the cultural darkness of state fascism was vanquished. The exhibition has come to stand as a major marker in the careers of artists that are invited to take part as well as the curators and organizers that conceive and realize each exhibition. Former faculty Mariam Ghani, Rene Gabri, and Ayreen Anastas also took part in this year’s dOCUMENTA. "Starring Sigmund Freud" by John Menick, video still.